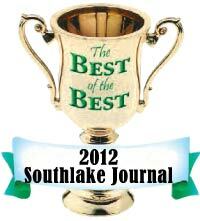 Berkeys, a leading provider of air conditioning and plumbing services to North Texas, today announced it has been selected “Best of the Best” by readers of the Southlake Journal in the category of Heating and A/C and best runner-up in the category Plumbing/Electrical. Berkeys was also selected “Best of the Best” by readers of the Colleyville Courier and the Grapevine Courier in the category of Heating and A/C and best runner-up in the category of Plumbing/Electrical. Berkeys Automatic Maintenance (BAM) Plan has been instrumental in ensuring customers’ home comfort systems operate at peak efficiency year-round. For $99 a year, a customer receives tune-ups on all home A/C, heating, and plumbing systems and gets lifetime warranties on common installations, plus preferred scheduling, and special discounts. For over 35 years, Berkeys has been providing quality air conditioning, heating, and plumbing services to homeowners in the Dallas-Fort Worth metroplex. Berkeys licensed HVAC technicians are experts in the latest air conditioning technology and green innovations, including the installation of Energy Star certified products and the use of Ozone friendly refrigerants. Berkeys plumbers have passed rigorous state plumbing examinations and are licensed by the State of Texas. They understand the complexity of state plumbing codes all the way down to local requirements. The BAM Plan ensures home systems continuously operate safely and at peak efficiency. The key differentiator of the BAM Plan is an 11-point inspection of a home’s plumbing system, including a check for underground leaks that can cause a home’s foundation to shift and crack. Over 12,000 tune-ups were performed for customers in 2011. Berkeys maintains an A+ rating with the Better Business Bureau (BBB) and has led the field in area newspapers' readers’ favorite polls. For more information, visit http://www.berkeys.com.